Just because it is summer doesn’t mean the learning has to stop! 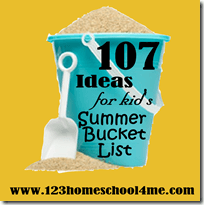 In fact, there are lots of really FUN ways to learn during the summer! 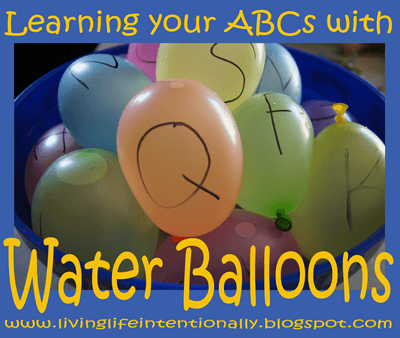 The kids LOVE water balloons so we decided to make water balloons educational! Minnie had a balloon for each letter of the alphabet. I would call out a letter and she would find that letter and throw it at Daddy. If your kids already know the letters well try saying a word and having them find the letter it starts will. For example Zebra; your child would find the letter Z. 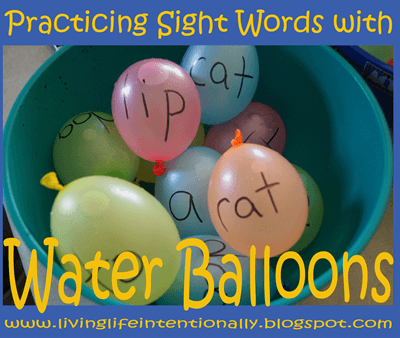 My Kindergartner had 26 different sight words written on his balloons. He read them as I wrote them on the balloons. He read them again before he was allowed to throw them! Who said reading isn’t fun!?!?! Tinker bell had her own basket with 5 water balloons. 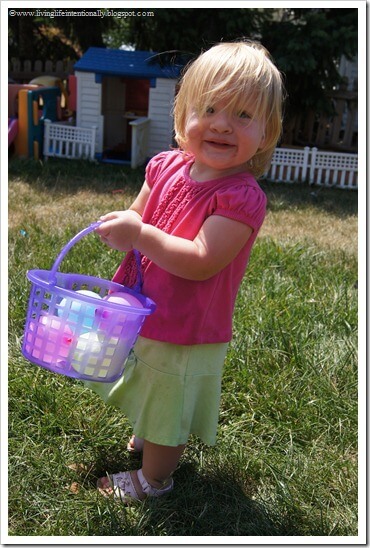 She had a GREAT time carrying them around and had fun popping them on herself! Depending on the age of your tot you could reinforce colors, counting, or draw shapes on them. So glad Daddy works from home to have fun lunch breaks with us! 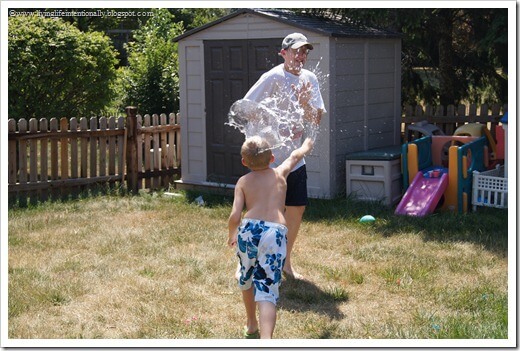 Besides, if Daddy wasn’t home you know who they’d want to throw balloons at….. yep- ME! DIY Marshmallow Shooter – Shoots over 30 feet! Reading the Easy Way – 12 week Preschool Sight Word Program including games, readers, kids activities, color by sight word and more.